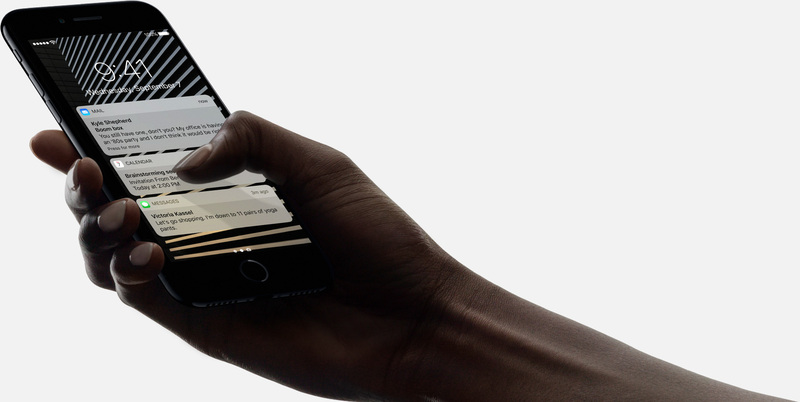 Matte Black, Jet Black, Gold, Rose Gold & Silver. 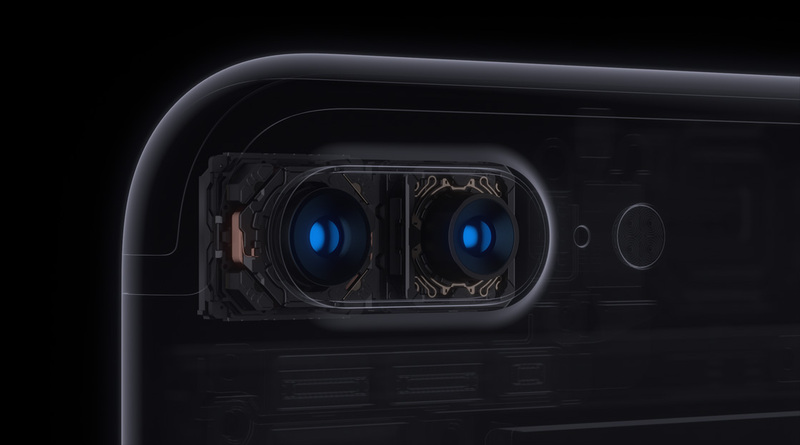 Videos shot in darker settings with iPhone 7 will look remarkably better, enhanced by optical image stabilization and the all-new ƒ/1.8 aperture. 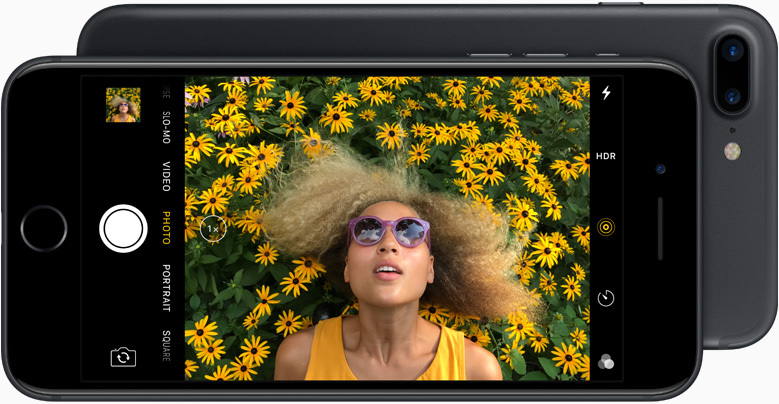 And the 12MP camera captures high-resolution video up to 4K. So you can shoot epic movies of epic moments, even if they’re happening in low light. 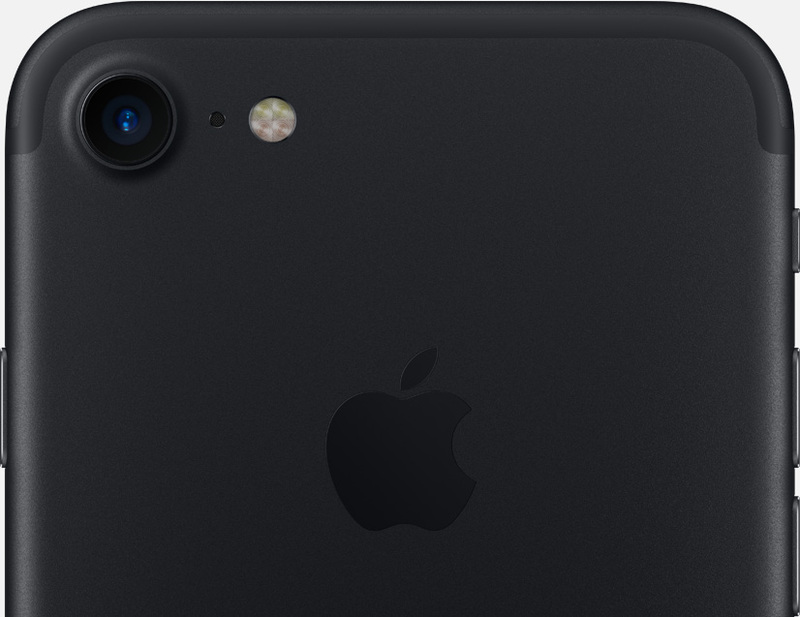 The FaceTime HD camera is not only higher resolution, but it also uses wide color capture. 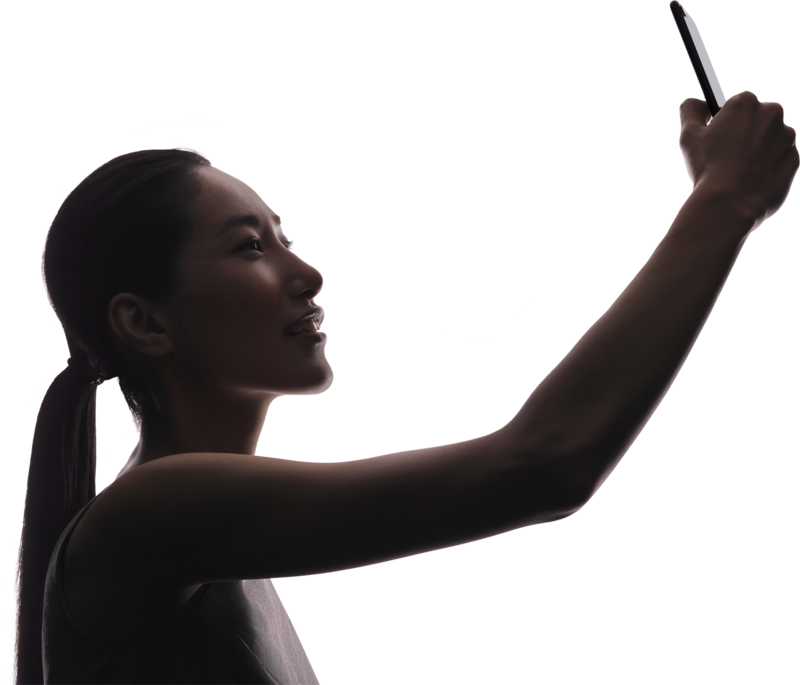 So now you can take sharper and more vibrant selfies. Worried about lighting? The Retina Flash matches the ambient light for a shot with natural-looking skin tones. Hello, gorgeous. 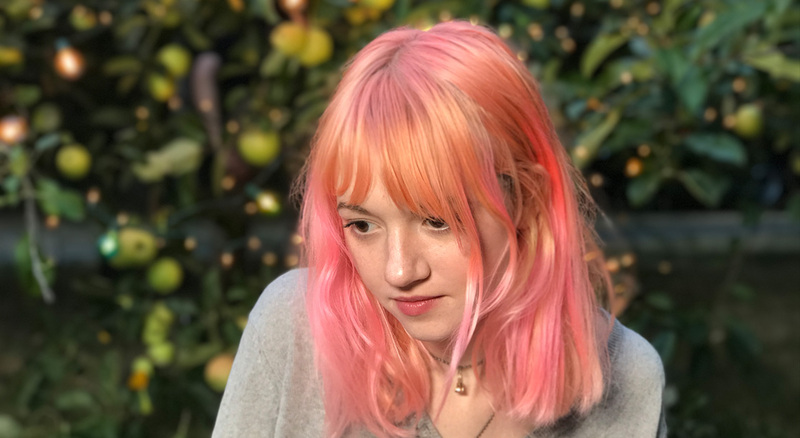 Why is the camera on iPhone 7 so advanced? 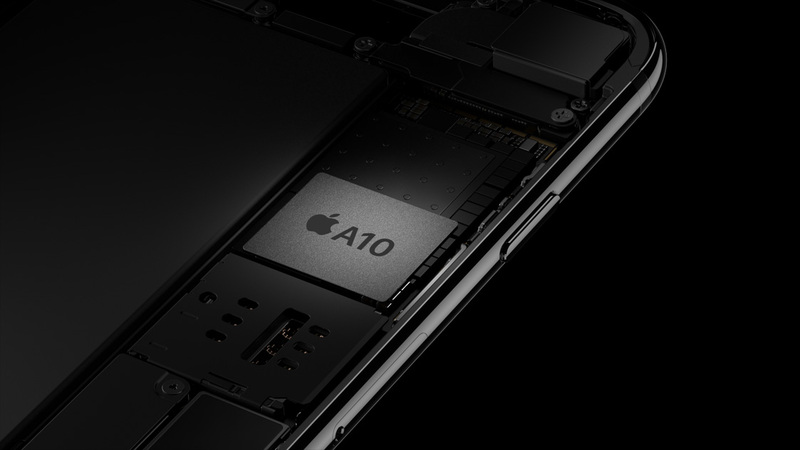 It has an improved Apple‑designed image signal processor built into the A10 Fusion chip. When you take a photo or video, the ISP powers over 100 billion operations and even uses machine learning to make your images look amazing. Other improvements include faster focus and improved local tone mapping and white balance. See, you already know how to use it. Something really special happens when hardware and software are made for each other. Everything just works. Incredibly well. 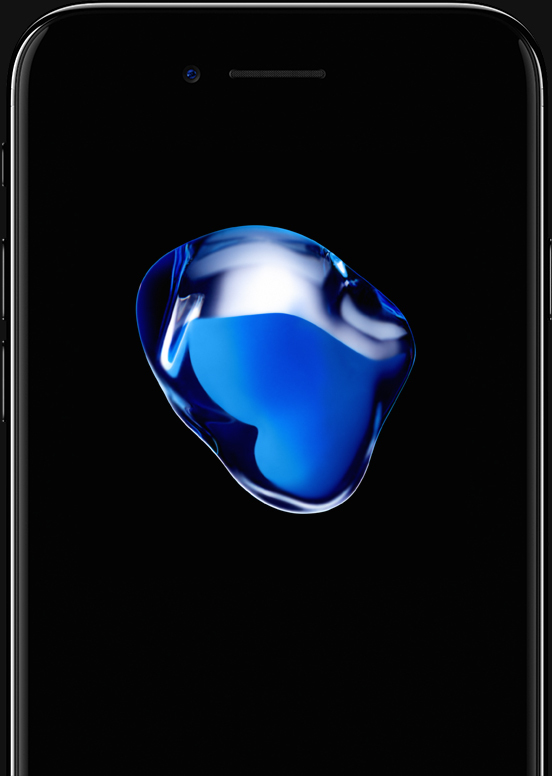 Apps can take full advantage of hardware features such as the powerful A10 chip, advanced camera system, Touch ID sensor, and 3D Touch. 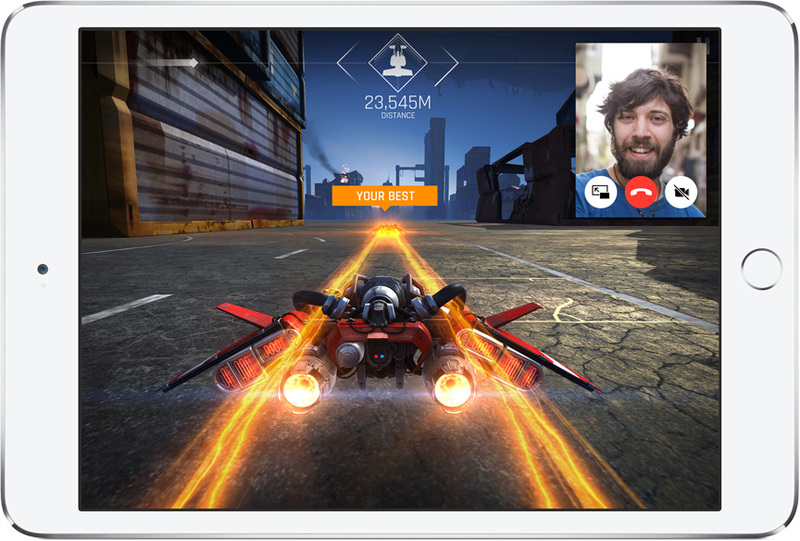 Your iPad lets you work with two apps at once. iOS even helps your battery last longer by updating apps only when your device is plugged in. 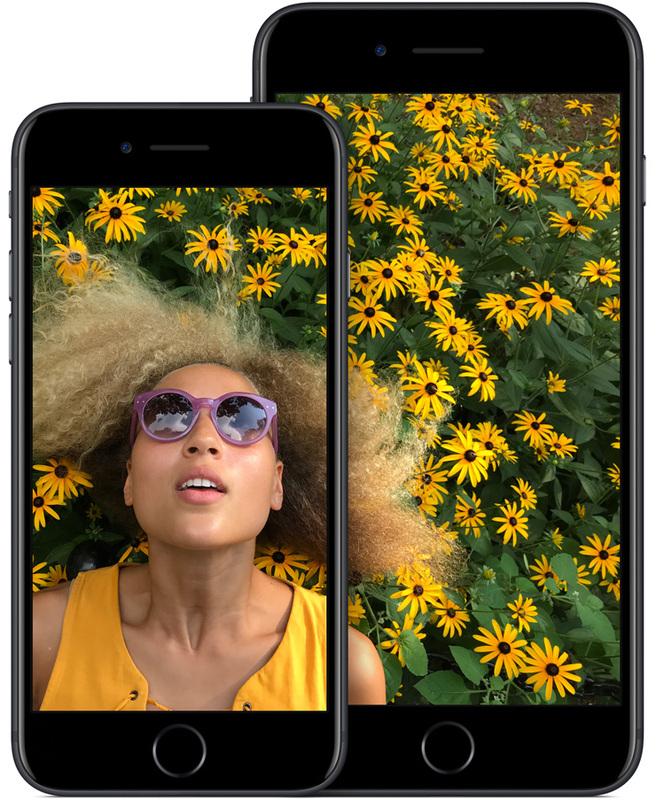 When you tap the shutter button, the iPhone camera’s image signal processor performs billions of operations — including things like face detection, autofocus, and exposure control. All so you can capture unbelievably sharp pictures in a flash. With an advanced fingerprint sensor that instantly recognizes you, and software designed to keep your payment information private, shopping has never been easier. Or safer. 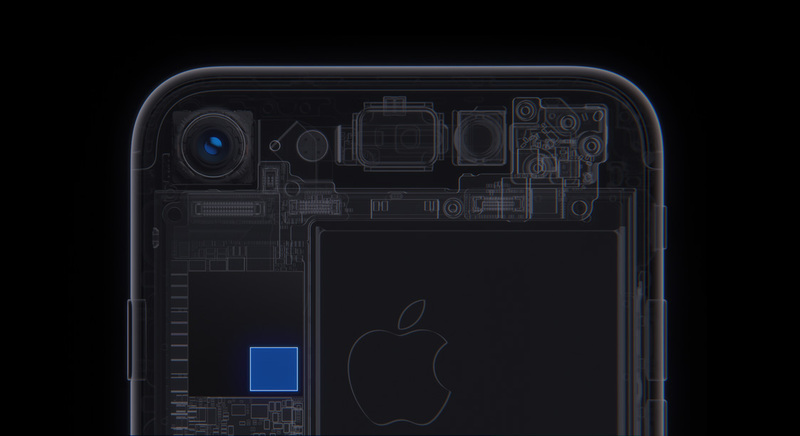 The latest iPhone Retina displays can distinguish between different levels of pressure, revealing more options depending on how deeply you press. So you can do more with just a touch. 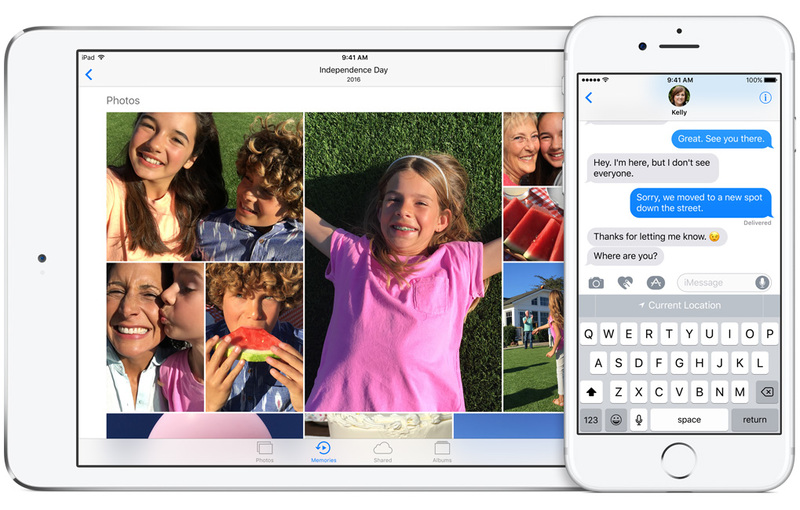 iOS comes with a core collection of Apple-designed apps you’ll use every day, like Photos, Maps, Messages, News, Health, and more. Each of these apps is engineered with incredible attention to detail. So, for example, when you send a message, you can express yourself in more ways than ever. Our apps also work with other apps, so you can book a table at a restaurant and a ride to get you there — without ever leaving Maps. 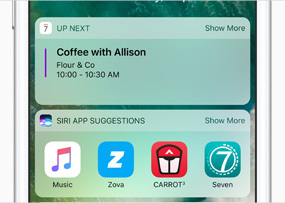 With sophisticated features like proactive suggestions, predictive typing, and everybody’s favorite personal assistant, Siri, iOS 10 makes everything you do easier, quicker, and more fun. Nobody understands you quite like Siri. Siri learns how you talk, not the other way around. Thanks to Apple-developed machine-learning technology, you can simply speak naturally. 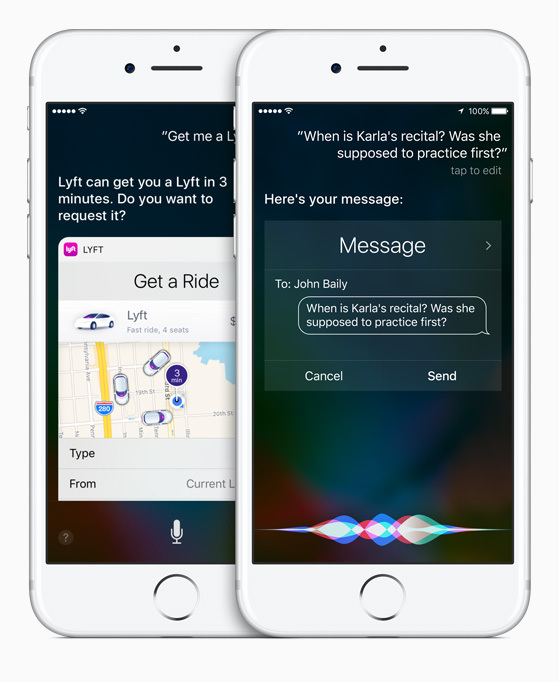 So whether you say “Get a Lyft to SFO” or “I’d like a ride to SFO using Lyft,” Siri will read you loud and clear. Siri even works with your favorite apps. 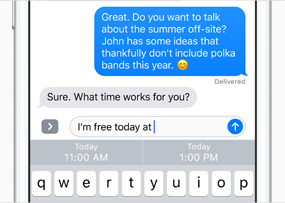 iOS is so smart it can provide helpful suggestions to make writing a message easier, get you to your destination faster, and even recommend apps you’re likely to love. All while keeping your information private. Have your current location, recent addresses, contact information, and more brought up automatically. So when a friend asks “Where are you?” you can share your location with just a tap. 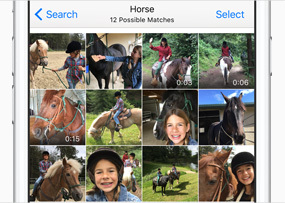 When you search your photo collection, Photos performs billions of calculations to identify images with the specific people, places, and things you’re looking for. Making it faster than ever to find your favorite memories. 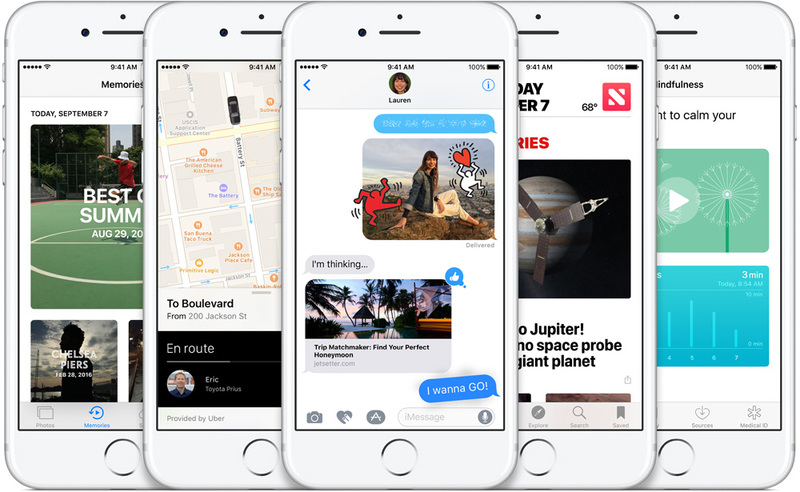 iOS 10 can suggest apps you might like to use based on your location and the time of day. When you arrive at the gym, for example, iOS may suggest your favorite personal-training app to help you get the most out of your workout. 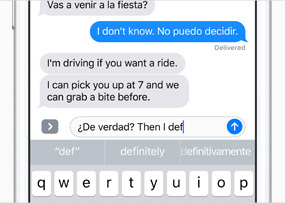 Type in two languages at the same time without having to switch keyboards. 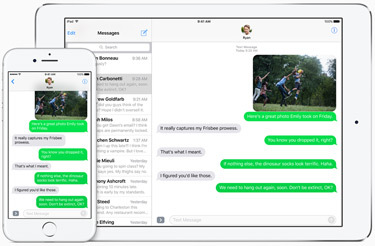 iOS recognizes any pair of the following languages: English, French, German, Italian, Portuguese, and Spanish. It also supports using English and Chinese together. Privacy and security are at the core of everything we believe. And everything we make. At Apple, protecting your information is something we build into our processes from the beginning. When we have an idea for a product, we find a way to make it that ensures your security and privacy. It’s a value we’re deeply committed to because your trust means everything to us. iOS is designed to put your privacy first. 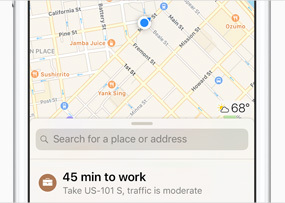 If an app wants your location information or personal data — like in Calendar, Contacts, Reminders, or Photos — it needs your permission first. And you have complete control over how apps access your HealthKit and HomeKit data. 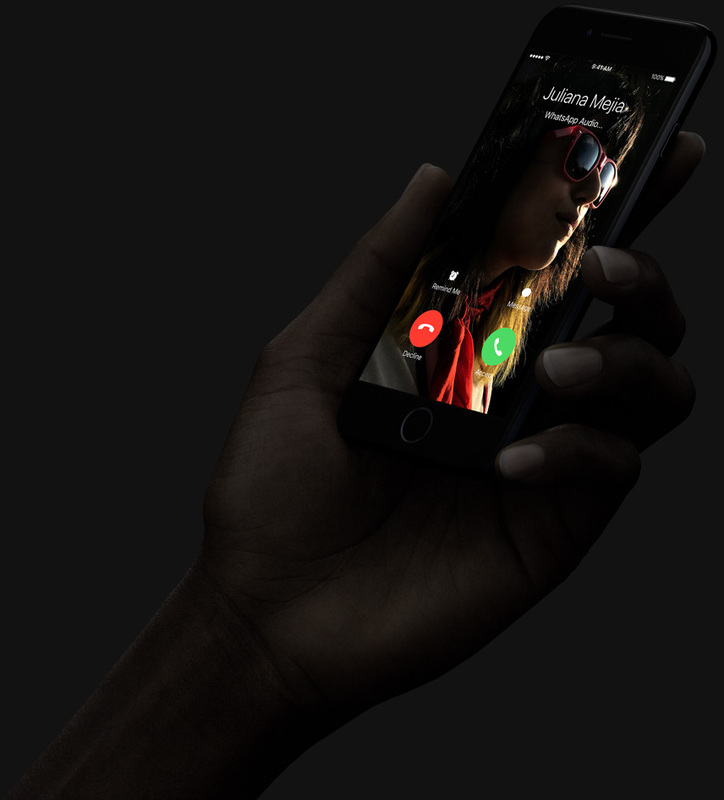 Conversations over iMessage and FaceTime are encrypted so no one but you and the person you’re talking to can see or read what’s being said while you’re communicating. And features built into Safari give you the ability to browse privately, block cookies, and prevent websites from tracking you. 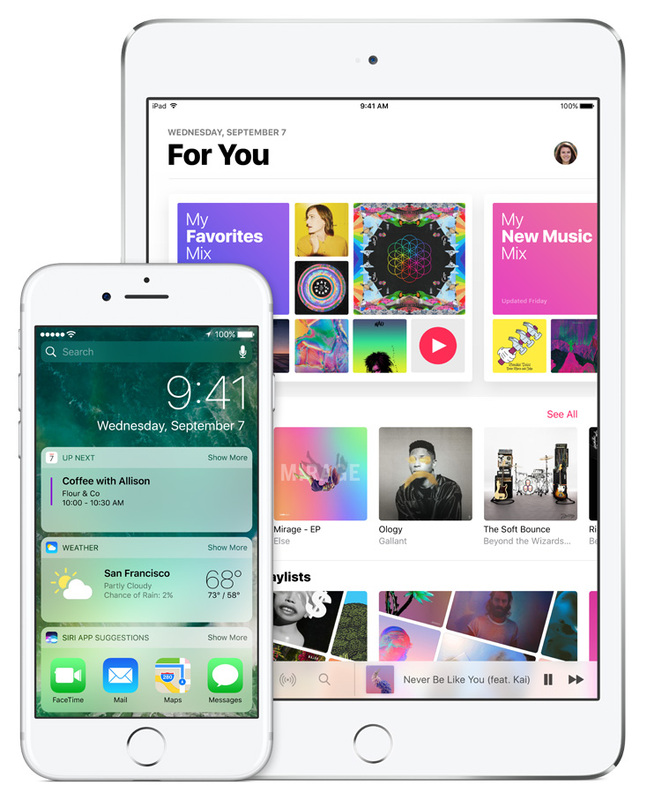 iOS offers the most advanced security of any mobile operating system. 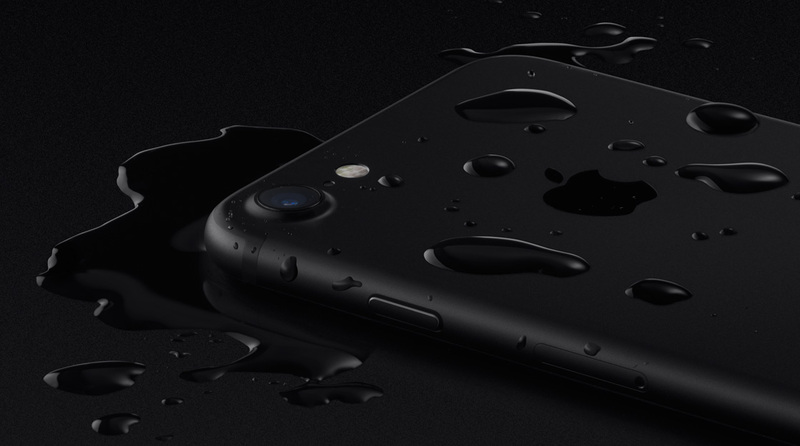 For starters, hardware and firmware features are designed to protect against malware and viruses, while iOS features help to secure your personal information. Touch ID lets you use your fingerprint as an easy alternative to entering your passcode each time, preventing unauthorized access to your device. 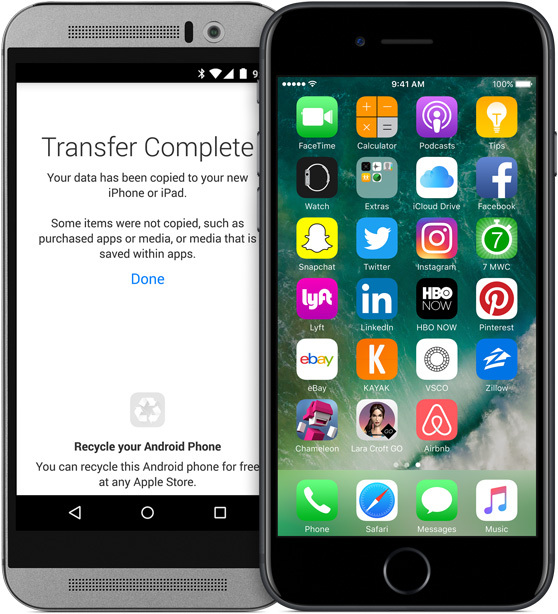 And we give developers tools to make the safest apps possible, including top-notch encryption, app transport security, and more. The point is, security runs throughout the entire system — everything from the hardware to iOS to the App Store. With iCloud, iOS can automatically connect many of your Apple products, making things you do every day easier. Like sharing large files instantly between devices without having to email them. Or starting a task on your iPad and finishing it on your Mac. You can even stream video from your iPhone or iPad to your TV through Apple TV. And everything’s synced — so when you update a document or photo on your iPhone, the latest version appears on all your devices. 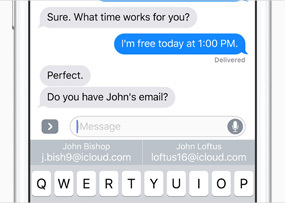 Start writing an email or text message on your iPhone and finish it on your Mac. Handoff works with Mail, Safari, Pages, Numbers, Keynote, Maps, Messages, Reminders, Calendar, Contacts, Notes, Podcasts, Clock, and News. 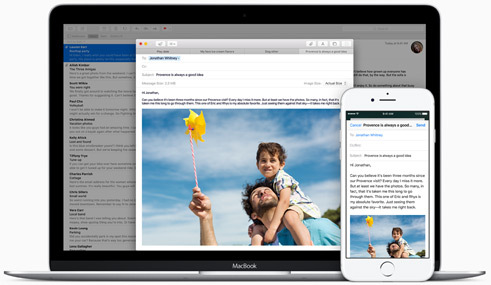 Sharing with AirDrop is faster and more convenient than an email or text, especially since you can send larger files that are too big for many email servers. Show it off on the big screen with AirPlay. AirPlay lets you wirelessly stream what’s on your iOS device to your HDTV and speakers via Apple TV. Or mirror exactly what’s on your display to the big screen. 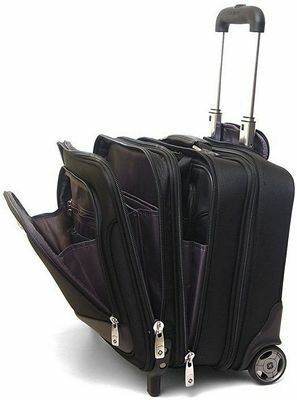 Safely store all your stuff. Automatically. 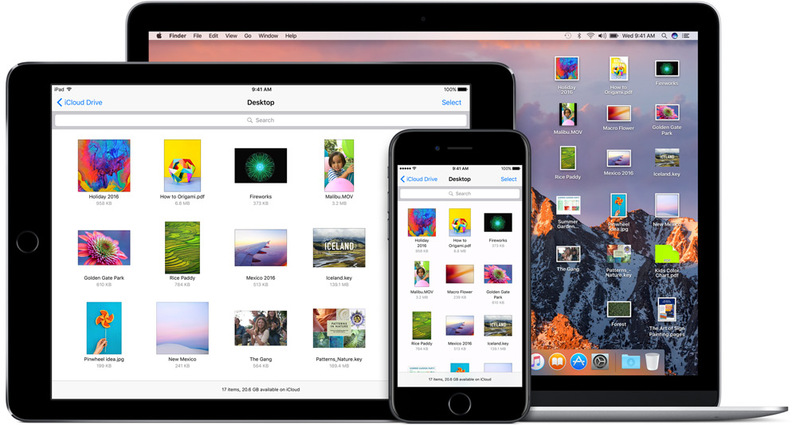 iCloud can automatically back up your photos, videos, documents, apps, contacts, calendar events, and more — keeping your most important content safe, while freeing up space on your iPhone or iPad.5 Find My iPhone helps you find your device if you lose it.6 And everything stored in iCloud is easily accessible from any iOS device or Mac. 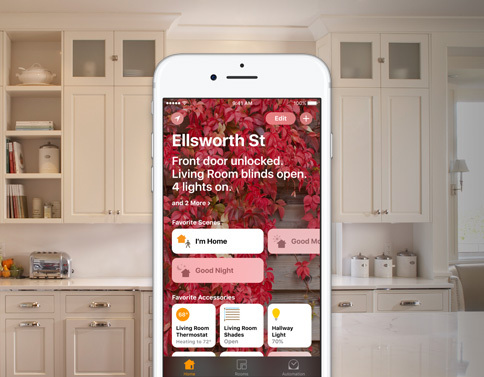 iOS makes home automation secure and easy. So you can do things like have your lights turn on when you pull into the driveway, or lock the front door from your iPhone if you forgot to. 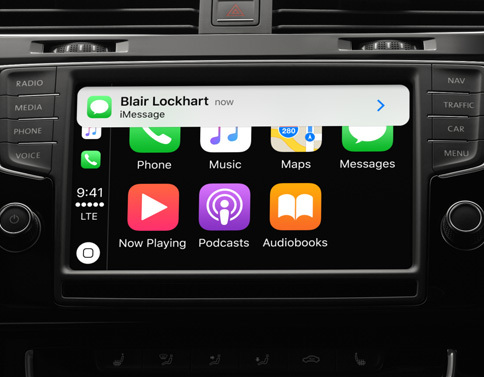 CarPlay is the simplest, safest way to use iPhone in your car. It allows you to get directions, listen to your favorite tunes, make calls, and more. All in a way that lets you stay focused on the road. iOS updates are free. 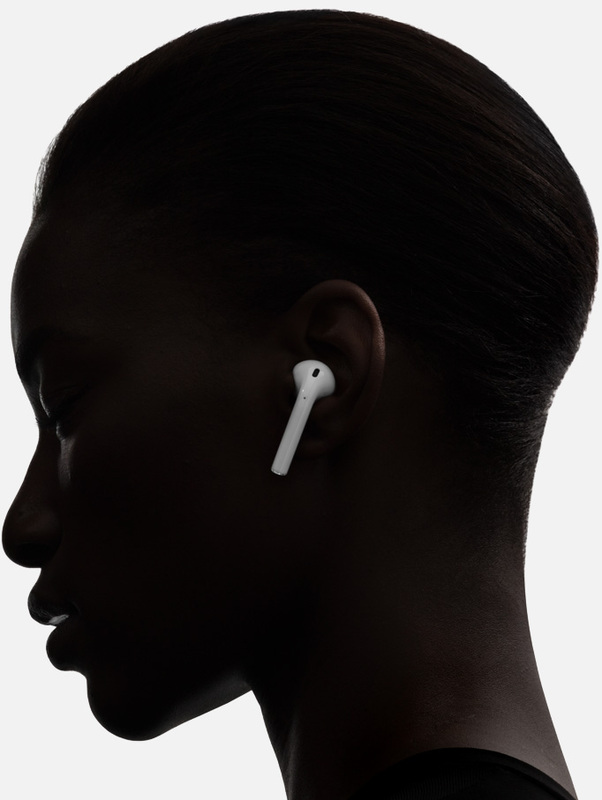 And they’re available to download wirelessly on your iPhone and iPad the moment they’re released. Your device even alerts you when it’s time to get the latest version. 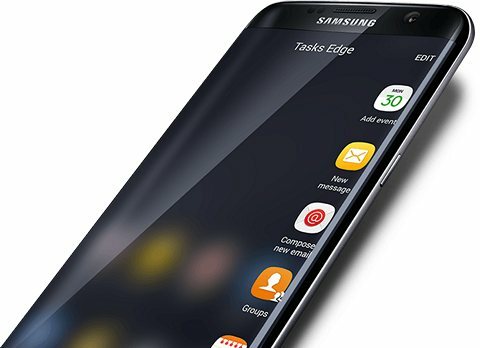 So you won’t miss out on the amazing features in new updates.